This confession has been a long time coming – I’ll just come out and say it. I’m nuts about nuts – almonds, cashews, walnuts, pecans I love em! Don’t even get me started on hazelnuts. My love of nuts is complimented by my love of dried cranberries, but daaaaaayyymm how sweet are those guys. Does anyone know of a good tart dried cranberry? I’d be all over that sucker.I’ve drifted sorry, anyway my point is that sometimes you want to combine these loves. And you want it to be healthy? Yes? Good. Wait, did I mention pistachios!!!?! I DIDN’T? Good god, I just devoured like 2 handfuls of raw pistachios. No regrets. 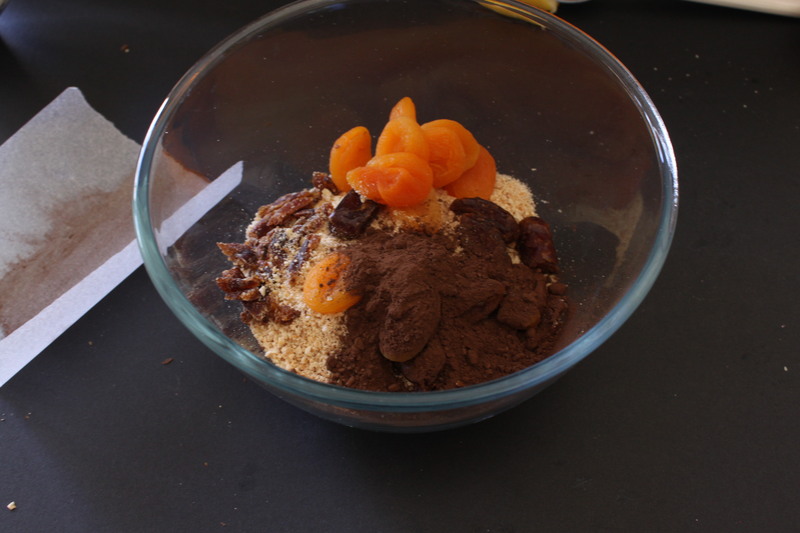 So this is where we are at, trying to make chocolate/apricot delight/truffles. I’ve figured this out for you and it’s healthy* and delicious. *as healthy as dried fruit can be, which is not much. I actually opted for apricots instead of cranberries because they are lower in sugar. But you can use anything you want. These are super easy to make and you don’t really need a recipe, the photos are actually a better judge of the ingredient amounts needed. You really can’t mess this up. 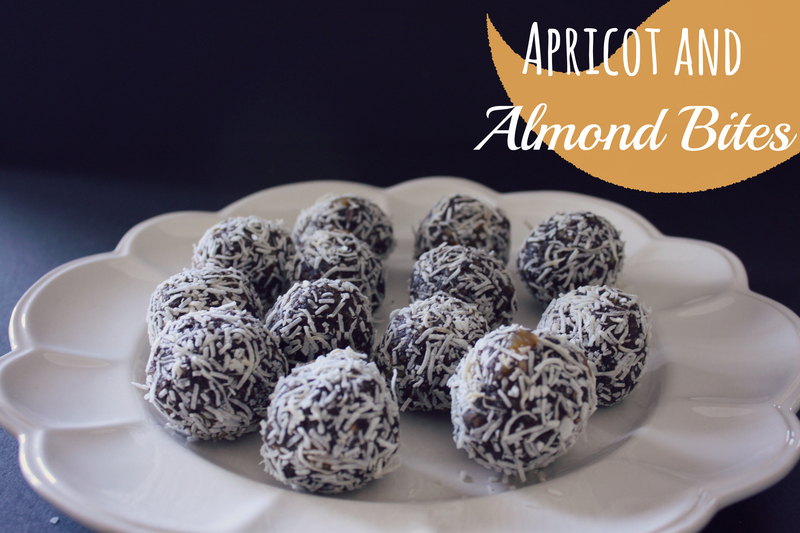 I made these for the Sweet Adventures Blog Hop the theme was raw goodies. So good! Chop the nuts up in a food processor, you want them to be larger than powdered to add a bit of bite. Add in the other ingredients – aside from the coconut. Process until you have a thick paste. 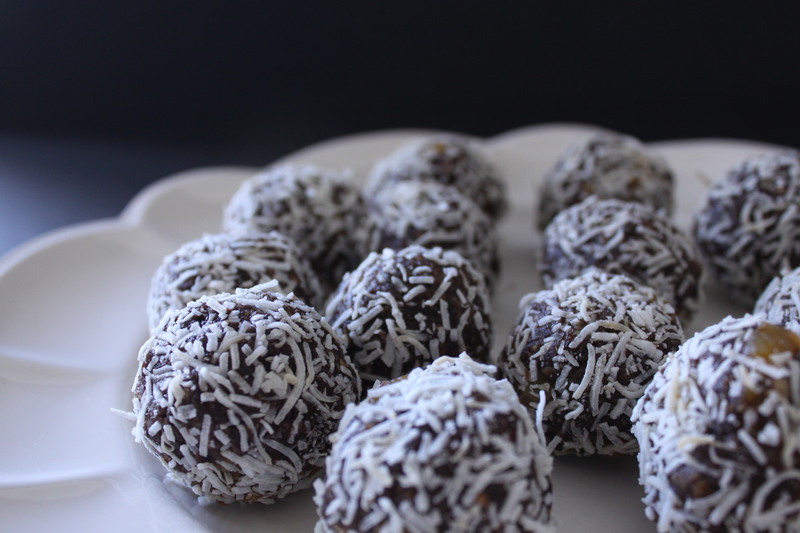 Use a teaspoon to make rough balls and then roll into an orb (I wanted to stop saying balls). Coat this mixture with the coconut and refrigerate for at least an hour. The Goodies and Grains stall in the markets do a good dried cranberry! Love little bites like this 🙂 I wish someone did an um-sweetened dry cranberry but they all have sugar in them – try incaberries if you want something tart! Maybe I should just try and do it myself! But I will definitely try incaberries, thanks for the tip. Irresistible! I love apricots. Infact, they are my hometown’s specialty. I am gonna make these this weekend. 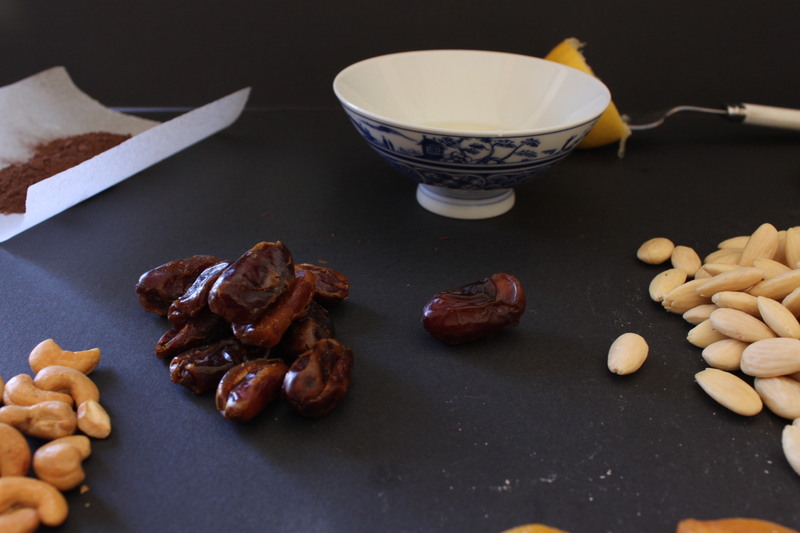 And I am gonna try making them with dates. Yum! I’d love if my hometown was famous for a fruit!! So lucky, good luck! neatly written article. I’ll be sure to bookmark it and return to learn more of your helpful information. Thank you for the post. I’ll certainly return.